If you believe you are a “work in progress” with the potential to improve, you are on the road to becoming the captain of your life. Your brain is designed for learning and making choices that contribute to creating positive and negative outcomes. Imagine making “high-road” decisions to consciously control your positive response to people and situations. 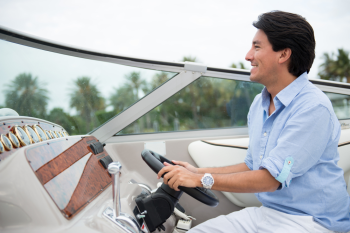 Can you feel how good it is to be skillfully navigating your ship? So, take a deep breath, relax, and learn how to continuously move toward being a “neu” and better you. The power of neuroplasticity is alive and available to anyone willing to engage and unleash the power within. 2. Embrace that you are a work in progress and capable of positive change. Your choices are framed by your life experiences that include the “good, bad, and ugly.” A full range of experiences is a blessing in disguise, because you have the gift of contrast to form the basis of improved future choices. How do you know what constitutes a comfortable and tolerable temperature unless you have experienced hotter and colder conditions? Recognize that “good” is relative and always subject to improvement. What were your mental, physical, and emotional states? What personal thoughts and behaviors contributed to the “good” outcomes? What would it look like if you could revisit, rewrite, and replay a situation as a “neu” and better you? Establish a checklist of best practices; continuously update with improvements. 4. Play “Monday morning quarterback” with events that had negative consequences for you and/or others; these are situations where you have a sense of regret, personal responsibility, and ideas for how you could have done better. Remember, you were doing the best you could in that time frame. Be gentle and kind with yourself. View the analysis as a valuable learning experience. What personal behaviors would make this situation better if it emerged again? Reenact (in your “mind’s eye”) the situation with a new script; practice until you feel like a “neu” you. Think: What are my best behaviors here for a good outcome? In summary, being the best you can be is a continuous, never-ending cycle of learning and growth. All learning experiences are equally valuable. Negative outcomes provide the gift of contrast for better future decisions; forgive yourself and know you can and will do better the next time around. You can react, unconsciously, through prior and possibly faulty programming, or respond, consciously, with your highest-road behaviors. Self-awareness of your potential to improve, coupled with a willingness to make better choices, is a sure fire way to get on the pathway to being a “neu” and better you. You can do it! Up-shift your thinking, change your life! You may not be aware that our organization is a trusted and respected source of reliable practical neuroscience solutions for personal and organizational development. We have been creating and delivering brain-based human development solutions, since 1992. The message that follows directs you to a quick, easy, and low cost solution you may be searching for. Did you enjoy the 5-insights and application tips for being the “best you can be?” A fun way to continue your journey of self development is discovering how your brain is wired for success. 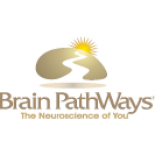 Your personalized Brain PathWays report gives you practical neuroscience tools, based on your brain strengths to “be the best you can be.” The on-line process takes less than 15 minutes, the results last a life time. Click to purchase your Brain PathWays online self-assessment and download your report today. This entry was posted on July 17, 2013 by brainpathways in Personal and tagged Behavior, Emotion, Experience, Health, Learning, life, Self-Help, Thought. Visit us at www.neuidentity.com to discover your unique personal brain strengths and how you can use them to navigate life. While you're there, sign up to receive Free Daily Messages From Your Brain for fun, fact-filled insights into how your brain works!